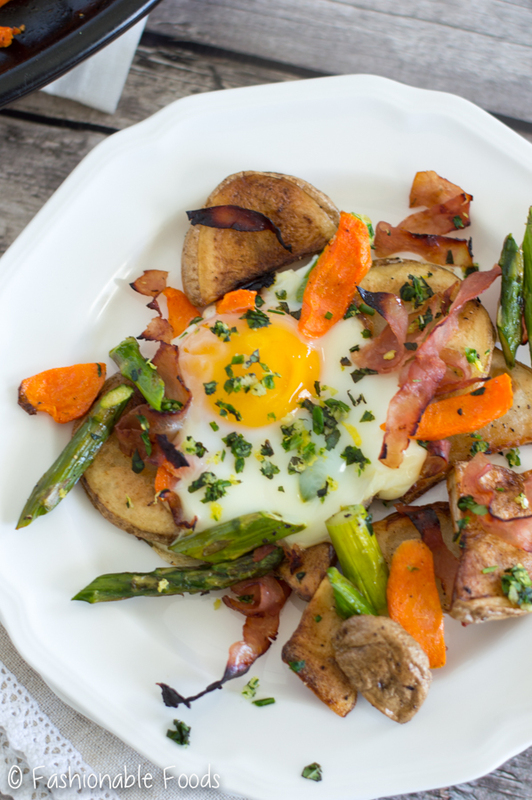 Fresh spring vegetables are tossed with crispy potatoes and smoked ham for a tasty breakfast. 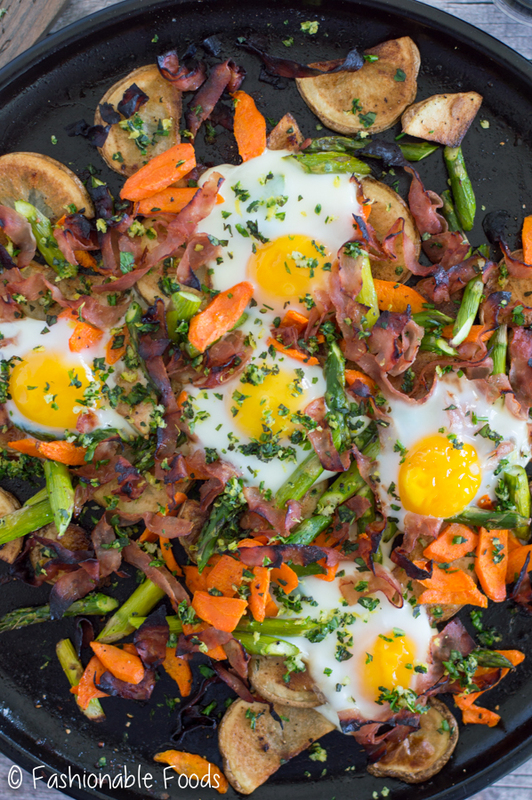 This spring vegetable and ham hash gets an extra dose of delicious with eggs and a mixed herb gremolata! Happy April! I can’t believe it’s already April… everyone always says time goes faster as you get older, and that is most definitely true. I remember being a kid and thinking how slow time went. You know, long school days that never seemed to end. Long summers full of fun activities, long breaks over holidays, and weekends seemed to last much longer, too. Now it’s like I blink on Friday and it’s already Tuesday. Anyway, now that spring seems to be making an appearance, we need spring inspired food! Today’s recipe is super springy… plus you can eat it for breakfast, brunch, or even dinner. I love breakfast food for dinner, by the way. I’ve been on a big asparagus kick lately… I just love it! 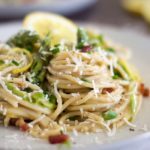 Since we are entering asparagus season, I’ve been working it into every single meal. 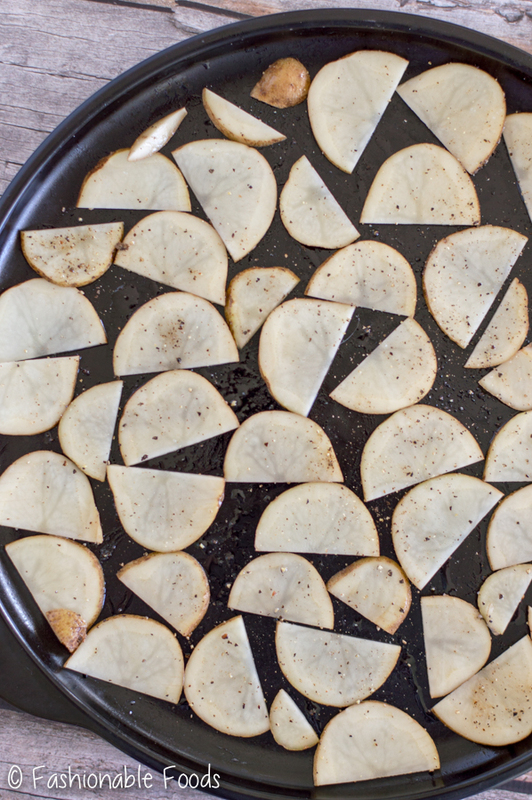 It pairs perfectly in this hash because we’ve got crispy potatoes (yum! ), fresh carrots, eggs, and smoked ham. Not just any old ham… Castle Wood Reserve® Smoked Virginia Ham. You can do SO much more than make a sandwich when you have a quality deli meat! 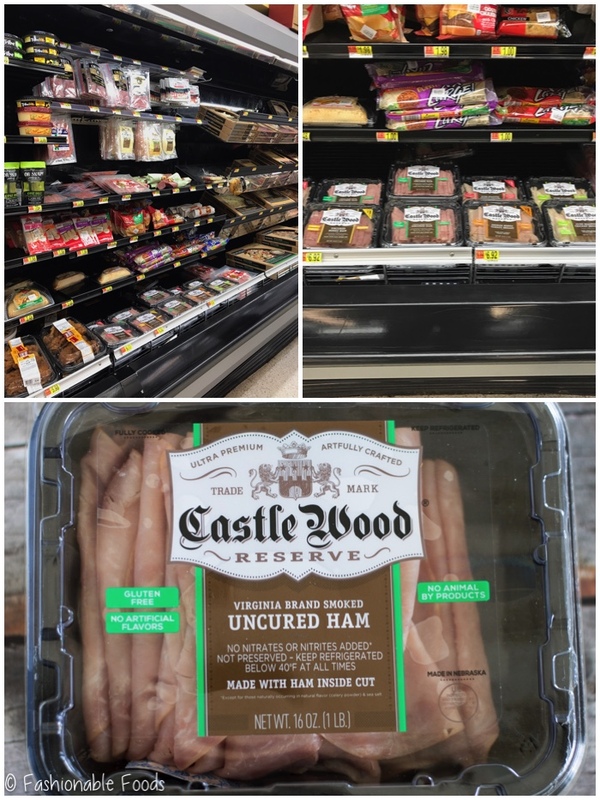 Castle Wood Reserve® meats are free of binders, contain no MSG, and are gluten-free! The best part? They are easy to find at Walmart right next to the deli counter… that means quality meats and you don’t have to wait in that pesky deli line. ? The smoked ham is perfect for this spring hash because it’s full of flavor and it gets crispy around the edges, which is my favorite part. So how do we make this tasty ham hash? Well, I’m glad you asked! It’s really quite simple. 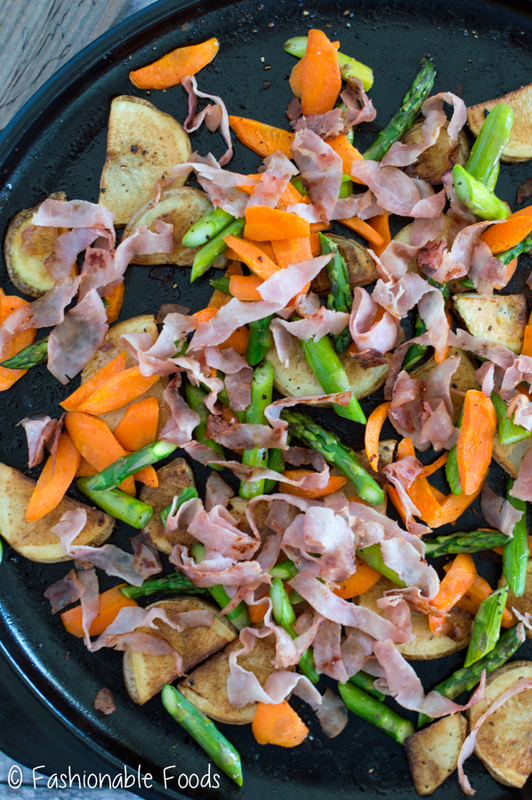 Roast potatoes until crispy (and asparagus and carrots).. then top all of that off with sliced Castle Wood Reserve® Virginia Smoked Ham. Crack on some eggs and then bake until the eggs are set and the ham is crisp around the edges. 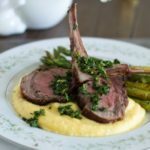 This recipe is perfect for a spring brunch with family and friends, or you can increase it and make it for a whole crowd! Check the recipe notes for my tips on making it ahead. Oh, and I almost forgot! The gremolata for topping. ??? Have you ever had gremolata? It’s basically just herbs chopped up with lemon zest and garlic. Traditionally it’s made with just parsley, but I added basil, mint, and chives. I absolutely LOVE chives. Not only do I love the flavor, but I love that they are the first thing green thing that returns in the garden at the first sign of spring. Once your hash comes out of the oven, just sprinkle it with the gremolata and you can serve it right on the baking dish you use. Easy peasy. 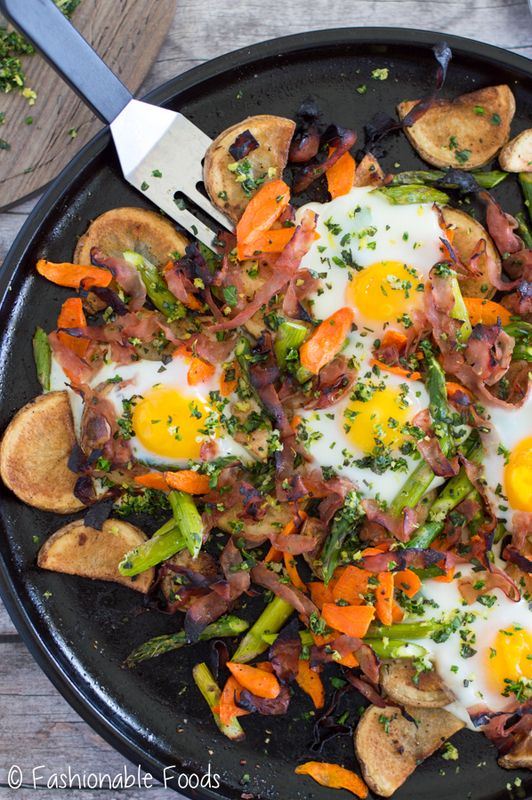 If you’re planning on doing brunch for Easter, this dish would be absolutely perfect. It’s easy, delicious, and will be a crowd pleaser! Obviously I highly recommend it. ? 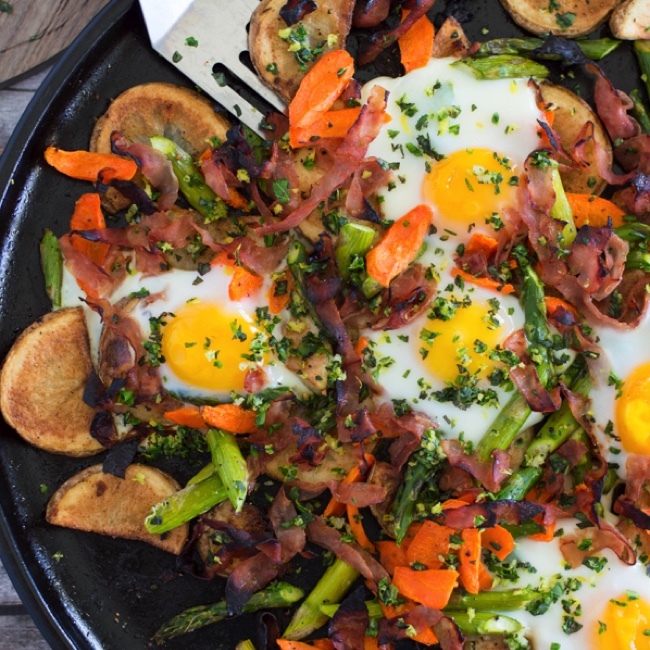 Fresh spring vegetables are tossed with crispy potatoes and smoked ham for a tasty breakfast. 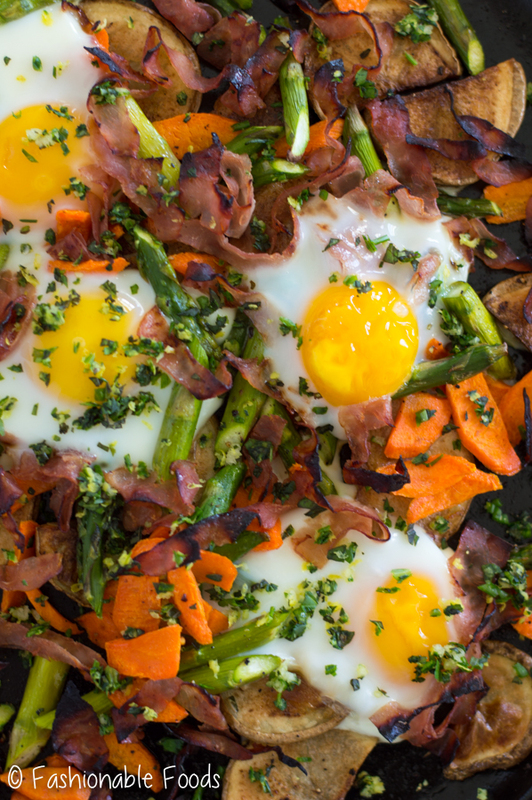 This spring vegetable and ham has gets an extra dose of delicious with eggs and a mixed herb gremolata! Toss the potatoes with enough olive oil to coat and season well with salt and pepper. Lay them out on a baking sheet, or a large round stone. Place the baking sheet on the bottom rack in the oven and bake the potatoes for 15-20 minutes, or until the bottom side is golden brown. Flip the potatoes over and cook for additional 10-15 minutes, or until the other side is golden brown. Meanwhile, toss the carrots and asparagus with enough olive oil to coat and season with salt and pepper. Place them on a smaller baking sheet and when you flip the potatoes, add them into the oven to cook for 10-15 minutes, or until crisp tender. Once the potatoes, carrots, and asparagus are done, lower the heat to 350º. Add the asparagus and carrots on top of the potatoes and cover everything with the ham. Make a few wells in the hash and crack in your desired amount of eggs. Bake the mixture for 8-10 minutes, or until the eggs are set and the ham is brown around the edges. 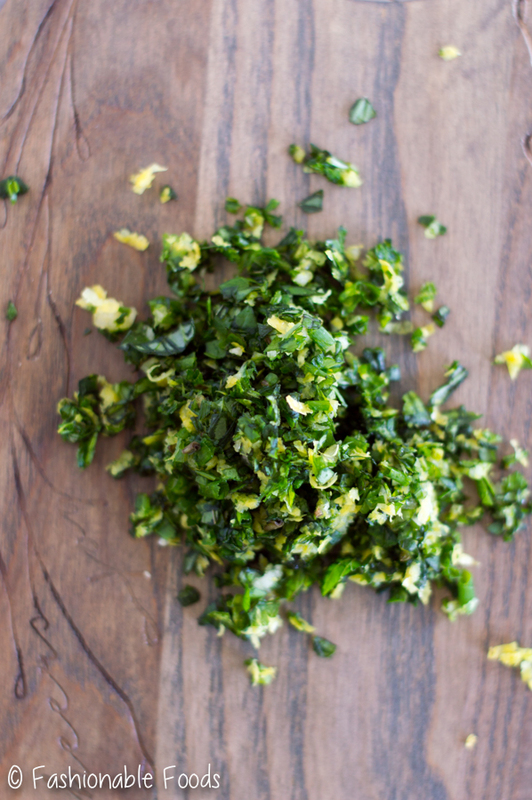 Make the gremolata by chopping together the herbs, lemon zest, and garlic until finely chopped. Season lightly with salt and pepper and sprinkle the gremolata over the hash before serving. This hash is the perfect make-ahead option for a crowd as you can easily multiply it to feed as many as you need! You can roast the vegetables ahead of time in whatever quantity you need, and then when you’re ready to serve, lay them out on a baking sheet (or 2 if you’re feeding a crowd! ), drizzle with some oil, and let them heat slowly at 350º. Once they heat through and crisp back up, proceed with the recipe. Check out Castle Wood Reserve® for more product info and recipe ideas! I remember thinking the same thing when I was little…why does time move so slow?! Now, I would give anything to rewind a bit or to just be able to hit the pause button in life! 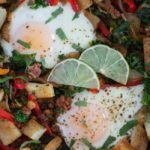 🙂 Breakfast hash is one of my favorite meals, and I’m loving this spring inspired dish! Such a colorful dish for the season, and love the ham in here, too! Agness of Run Agness Run recently posted…‘Barefoot Running’ – Silly Craze or the Future of Running? I’ve been spending the last hour reading about Basil’s escapades and your amazing hash recipes! Im feeling inspired to get back in the kitchen and try some yummy new recipes.